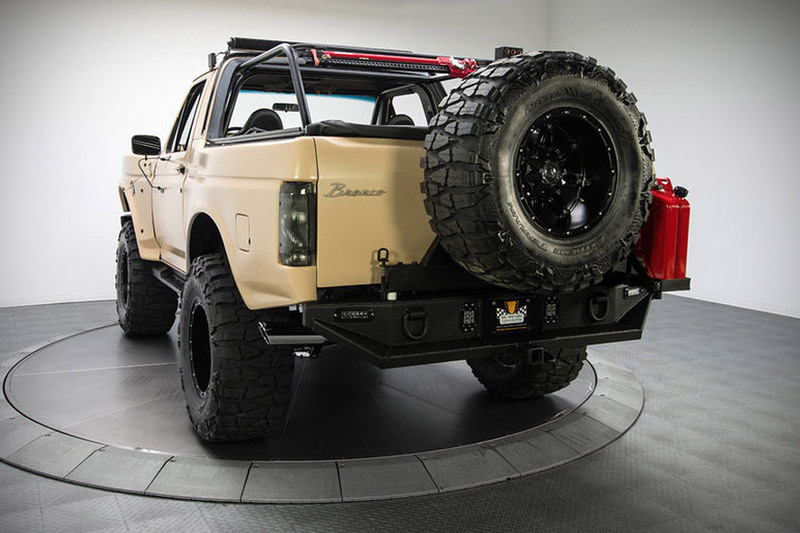 The classic Ford Bronco was always one of the sturdiest vehicles you could buy. While it wasn’t much on its interior design, it was certainly a truck you could depend on. 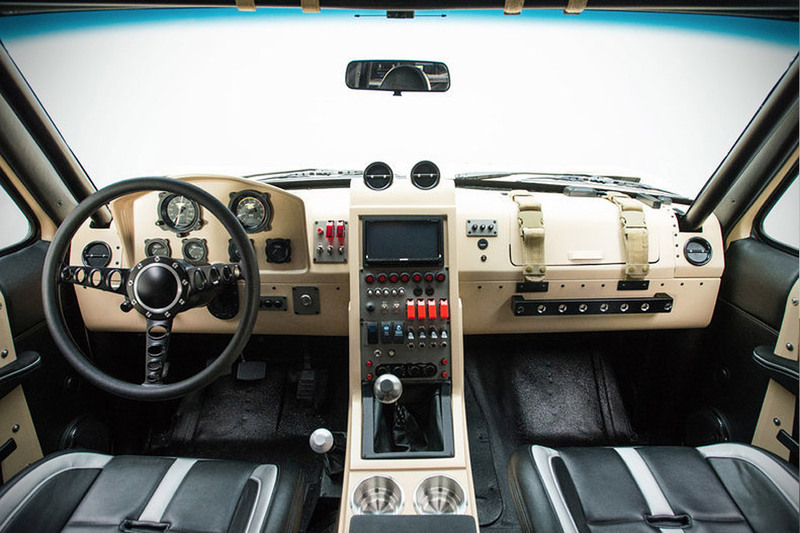 The restoration experts at North Carolina’s RK Motors Charlotte took this classic truck and gave it a dramatic overhaul, adding an improved drivetrain, body accents and an interior that’s as rugged as its exterior. 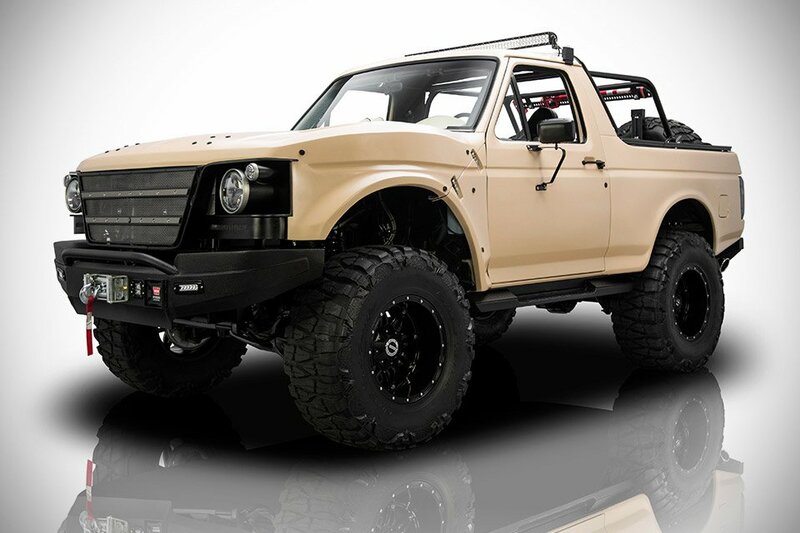 For starters, you’ll notice that this Bronco now has a 5.0-liter Coyote engine – the same one found in the Mustang Boss 302. Its transmission has been replaced with a Tranzilla T56 6-speed, with a Centerforce dual friction clutch. 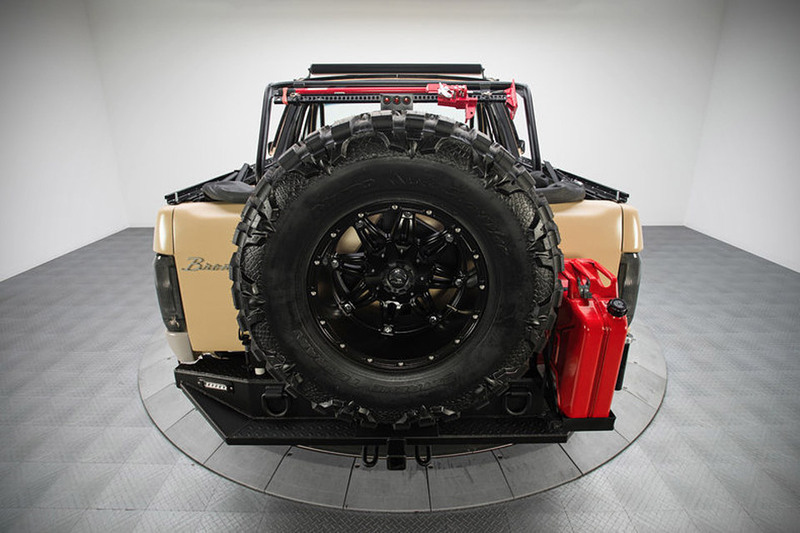 On the outside, it’s been fitted with custom fiberglass hood and wheel flares and massive Nitton Mud Grappler off-road tires on its 18-inch Fuel wheels. 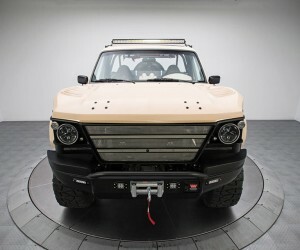 Inside, you’ll find a militaristic look, but modern tech – including LED accent lighting, and a touchscreen entertainment system, married to an Alpine stereo system. 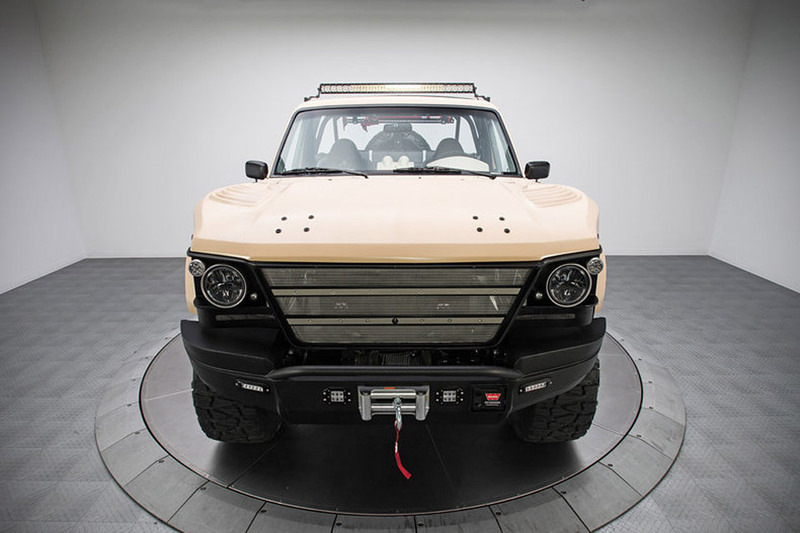 This very special truck was constructed as a tribute to US Navy SEAL Adam Brown, who was tragically killed in the line of duty in Afghanistan, and to raise funds for the fallen soldier’s family. Be sure to watch the video below to see the amazing transformation of this truck, and to hear about the inspiration behind the build.